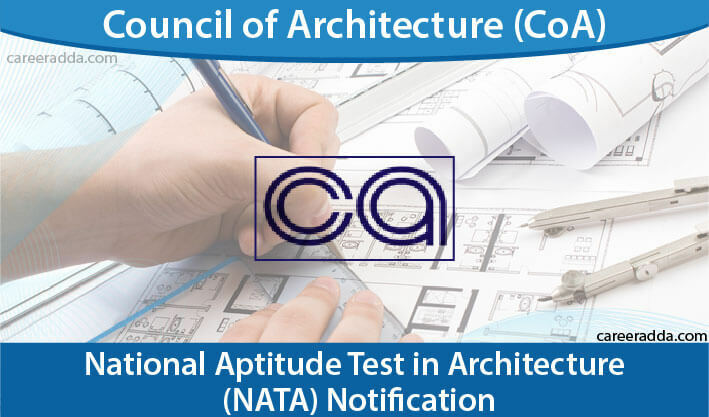 NATA 2019 Registration : NATA 2019 also known as National Aptitude Test in Architecture 2019 will be a national-level Common Aptitude Test in Architecture to be conducted by Council of Architecture (CoA) for offering a single platform to prospective students so that they can apply for admission to 1st year of 5-years B.Arch. Degree programme at all recognized institutions spread across the nation without appearing in manifold aptitude tests. NATA 2019 will measure the aptitude of the candidate for particular field of study, i.e. Architecture. 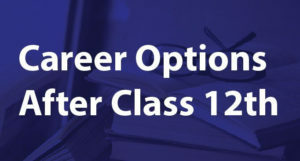 The candidates who want to apply and appear for NATA 2019 must satisfy all the eligibility conditions prescribed by CoA. In case, you are not aware of NATA 2019 eligibility conditions then please go through this post. By the end of the post, you will be aware of everything about NATA 2019 like date of release of official notification / information brochure, schedule of NATA 2019, application procedure & fee, patterns of questions & mode of answering, syllabus for NATA 2019, admit card, examination centre, results etc. Very soon, NATA 2019 official notification / information brochure will be released and published by the Council of Architecture (CoA) on NATA’s official website. After going through all the stages, candidate will be able to print his/her NATA 2019 application form. Scanned copy / file of applicant’s own signature in either JPEG or JPG format having size of minimum 1 KB and maximum 30 kb. Image dimension should be 1.5 cm x 3.5 cm. Scanned copy of community certificate (only for SC / ST applicants) in either JPEG / JPG or PDF format. Size of file should be between 5 kb – 100 kb. Scanned file of recent passport size color photograph in either JPEG or JPG format. Size of file should be between 4 kb – 100 kb. Photo dimension should be 4.5 cm x 3.5 cm. All the NATA 2019 applicants are required to pay an amount of Rs. 1800/- towards application fee. For applicants belonging to SC / ST category the application fee is Rs. 1500/-. All the applicants are needed to use State Bank of India / Bill desk payment gateway for payment of fee. 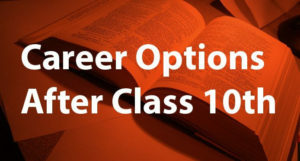 They are required to select any of the given options to pay the application fee. Payment options are – net banking, credit card & debit card. After making payment successfully, a confirmation page will be displayed. It means that the applicant has been successfully made a payment of application fee & hence registered. Applicant must take print out of this confirmation page for future reference. Firstly, there will be an online examination (aka Part A) having objective type questions from Mathematics and General Aptitude. In this online test, there will be 60 MCQs and each MCQ will be of 2 marks. So, maximum marks will be 120. There is no negative marking. Secondly, there will be a drawing test (aka Part B) of 90 minutes duration to be held in pen & paper mode. In drawing test, there will be two questions and each question will be of 40 marks. So, total marks will be 80. Drawing aptitude will be held to judge applicants’ several abilities / skills like ‘sense of perspective drawing’ etc. Mathematics 20 40 90 Algebra, Logarithms, Matrices, Trigonometry, Coordinate geometry, 3-Dimensional Co-ordinate geometry, Theory of Calculus, Application of Calculus, Permutation and combination, Statistics and Probability. General Aptitude 40 80 Mathematical reasoning, Sets and Relations, Mental ability, Analytical reasoning etc. Drawings 2 80 90 Creating 2D and 3D compositions, understanding of aesthetics, colour texture, scale and proportion of objects, shape, building forms and elements etc. NATA 2019 admit card will be issued to each candidate through the respective webpage. Once admit card is issued online, registered candidates are required to download the soft copy of their admit card. After downloading a soft copy, they must print it on A4 size paper and take it to the concerned examination centre along with 1 photo ID proof. NATA 2019 will be held at / in the following centres / cities- Port Blair, Chirala, Howrah, Siliguri, Kolkata, Hooghly, Asansol, Varanasi, Muzaffarnagar, Lucknow, Gorakhpur, Allahabad, Aligarh, Warangal, Karimnagar, Salem, Chennai, Kota, Jaipur, Bikaner, Ajmer, Ludhiana, Bhatinda, Rourkela, Cuttack, Balasore, Shillong, Nashik, Mumbai, Amravati, Sagar, Gwalior, Ernakulam, Kannur, Mysore, Hubli, Jamshedpur, Samba, Jammu, Gurgaon, Hisar, Ambala, Surat, Rajkot, Anand, Delhi, Patna, Arrah, Vijayawada, Tirupathi etc. NATA 2019 will be also held outside India( Dubai). However, applicant who wants to select Dubai as their first examination centre is required to pay an additional fee of Rs. 8000/- at the time of attempting online application. NATA 2019 scores shall be valid only for the academic session 2019-20. We wish you Best of Luck for your NATA 2019 exam.